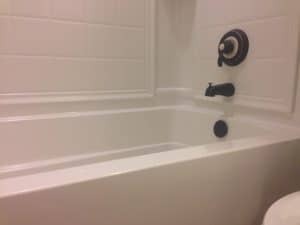 bathtub caulking | Odd Job Handyman Services, Inc. Effective June 17, we are offering a free bathtub caulking – silicone and up to 20 linear feet – to everyone who calls and books four hours of handyman service. Why would you call us to take care of your “to-do” list? Why would you want us to recaulk your bathtub? 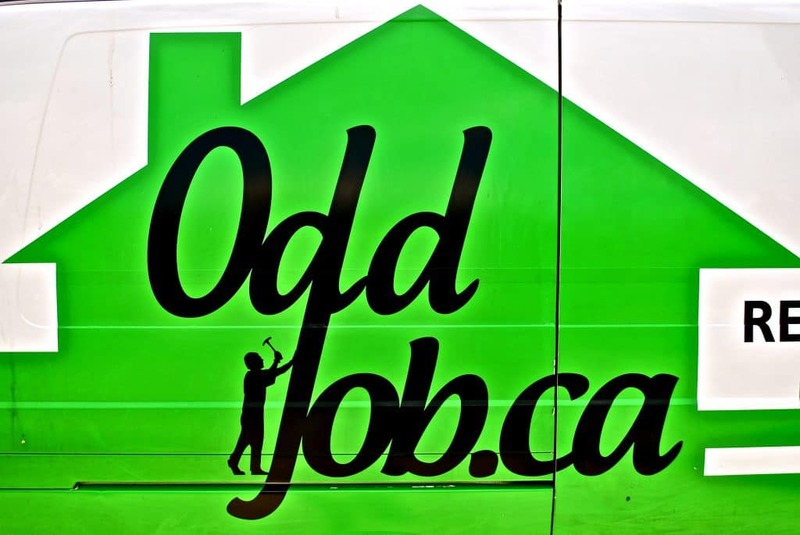 When you book with Odd Job, you’re receiving professional service. No secret charges, no rushed work, no unmarked vans, and no chance that you can’t reach us. 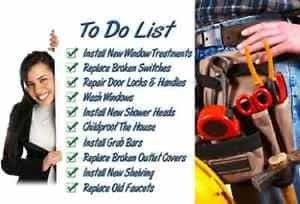 Instead, you have fully licensed, insured and background-checked professionals, transparent rates, a full-time office staff you can contact from 9 through 5, identifiable vehicles, and a professional team – fully licensed, bonded, insured, and two-year warranty on all general repairs. We’re offering free bathtub caulking because we view our clients as friends and neighbours. There is a high demand for this service – and for you folks, we’re happy to meet it. What can we do in four hours? You’d be very surprised. We try to show our clients love in as many ways as possible, and one of them is one-hour minimum, the lowest in the industry. 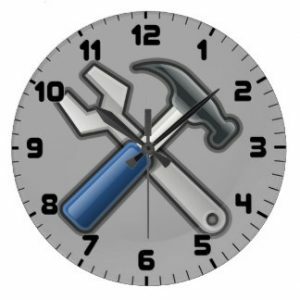 This is partly because we specialize in “the odd jobs” – small maintenance and repair issues that can often be completed within the hour. Bathtub caulking, for example, shouldn’t take more than 45 minutes. What do they all have in common? They can all be wrapped up in less than an hour. 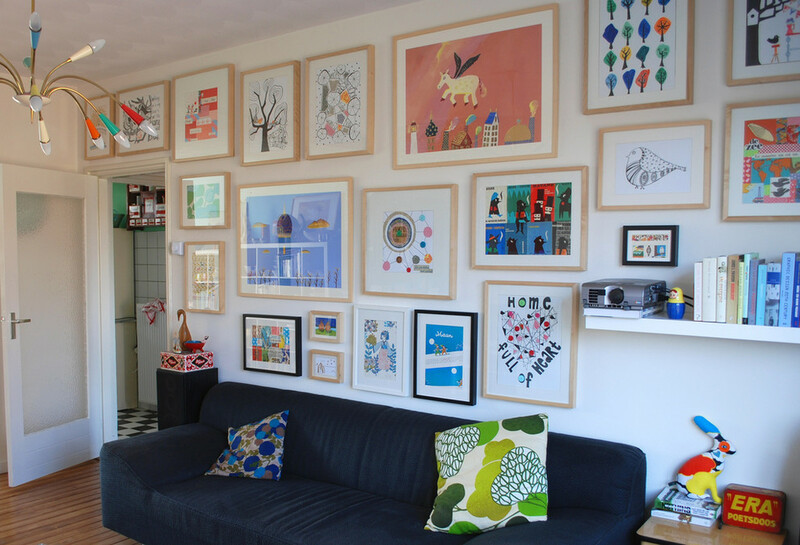 Every month, we’ve received hundreds of requests to hang artwork, family photos, and displays. Almost without exception, these projects are completed within a single hour and usually under half an hour. 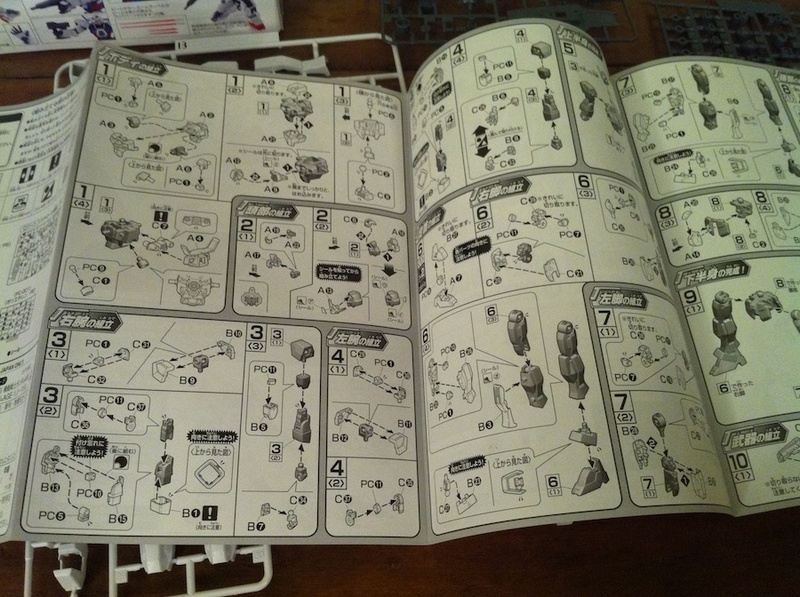 Don’t worry – you’re not the only one who starts descending into insanity when they see manuals that look like this. We know because we also receive countless of calls and e-mails requesting our furniture assembly services. Almost always, these projects are completed in less than an hour. Let’s face it: who among us doesn’t want to watch TV in bed? Our team has done a lot of this work, and from experience we can say that it never takes more than two hours. 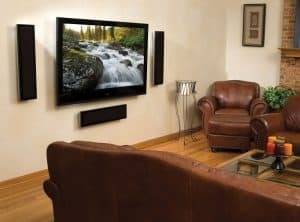 On average, a standard television (40” – 50”) can usually be mounted in 45 minutes. With larger units, it can often take as long as an hour and fifteen minutes. If the wall is hollow, the team may need to reinforce the mounting area with drywall and this will naturally extend the timeline. Is your faucet leaking from the base? Is it only running hot or cold water? Or does it just keep running? It happens. Bathroom and kitchen fixtures – faucets, shower heads, drains – usually require maintenance over the years. Sometimes, however, it’s best to replace and update your fixtures entirely. These projects can easily be completed within the hour. Replacing the supply hose of a faucet, for example, takes less than 15 minutes on average. 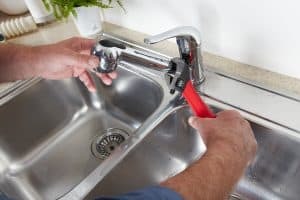 Replacing the shutoff valve almost never takes more than half an hour, and if it is a quick connect, then it will likely be well under that. Our premium bathtub caulking services are of the highest quality in the city, and now you can see for yourself – free of charge. Don’t wait – it’s time to say goodbye to your chores today. You’d be very surprised at how much of your “to-do” list we can clear within four hours. Book our team today and take advantage of this amazing offer while it’s still on the table.